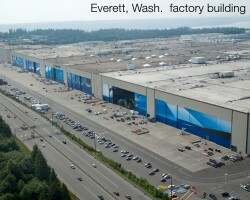 IDI has dedicated itself to become the preeminent full service door company in the world. 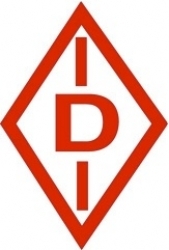 IDI finds great pride in the quality product line that we offer to our customers and end users as well as the professionalism of our support teams both in our offices and in the field. 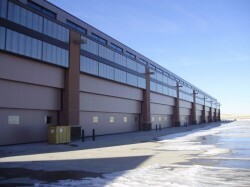 From High Speed Rolling Fabric Doors to the largest Airplane Hangar Doors, IDI is recognized as the industry leader for all types of door designs which provide a safe and durable product for any custom opening that you may have. 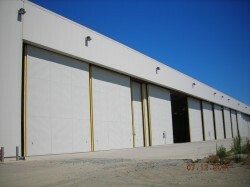 We offer a comprehensive product line which includes: high speed rolling fabric doors, steel vertical lift doors, turnover doors, canopy doors, vertical lifting/hoist up fabric doors, bottom rolling hangar doors, top hung sliding doors, large hinged doors, crane way door systems, fire doors, acoustical doors, blast doors and four folding door systems. We also provide our customers with an option to provide: pedestrian doors and hardware, rolling steel service doors and sectional doors. All door systems are available for electric motor operation with a wide variety of operating controls. We also provide custom designs for any special or unconventional requirement that you may have. Please feel free to contact our engineering department for any special application that your project may require. All of our products are available with specialized installation by our factory trained union iron-workers and technicians. We always provide professional coordination with our customers and other subcontractors to provide for smooth, seamless project scheduling. Most door systems can be designed to accommodate special, climatic/environmental conditions that may exist in your area. Windloading, snow loading, seismic concerns are no problem. Doors can be designed for clean room applications and we offer design applications for fire doors, blast doors or acoustical (sound) rated door systems. Please feel free to contact our engineering or sales staff for more information. We offer a wide variety of options for each door application. As an example; airplane hangar doors are available as: bottom rolling doors, tilt-up canopy doors, steel vertical lift doors or vertical lifting/hoist up fabric hangar doors. Please consult with our engineering department or sales department to determine which type of door system will work best for you. For over 70 years, IDI and our Byrne Hangar Door Division, have been dedicated to providing our customers with the safest, most durable door systems in the world. IDI is registered ISO 9001:2000 to ensure our customers of the safest, highest quality door products that our industry has to offer. 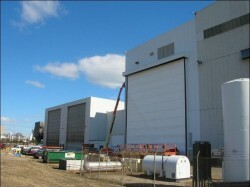 Our reputation for on time delivery and installation is unsurpassed by any other door company. Please feel free to contact us and “put us to the test”.